Social media content is content which is created by individuals or companies for social networks such as Facebook, Instagram or Twitter. These platforms are of particular interest to companies because they allow a much more direct interaction with users than classic marketing measures. However, in order to realize their full effect, any content initiatives employed must also be carefully oriented towards the target group and not simply become just another advertising measure. Social media platforms, such as Facebook, Instagram, Twitter or YouTube, are now part of everyday life for thousands of people who use them to share photos of a vacation, or from a special event. Social media and its content also increasingly serve as a source of information, and have even replaced traditional media such as television or newspapers. Thus social media content can play an important role in a company’s overall content marketing strategy. Content on social media channels can have a considerable reach, and because of its close proximity to the user can often prove more effective than classic advertising. In certain circumstances, positive comments on social media can even boost Google rankings. However, social media content also follows its own rules, and therefore requires its own dedicated strategy. The high degree of interaction is a special feature of social media – users can give direct feedback or comment on specific content by clicking on a “Like” button, or something similar. In addition, by sharing content, users can directly contribute to the spreading of content right across social media. In order to be successful on social media and thus profit from user ‘word of mouth’ promotion, content must be both high-quality and also carefully directed towards the chosen target group. Furthermore, the chosen platform must also be taken into consideration: A multi-page manual or a huge brochure should not be published via Twitter or Instagram, and a series of one-liners won’t look good on Facebook either. Guidebooks and tutorials are among the most popular types of social media content, and these are shared on Facebook and YouTube literally thousands of times. Companies that want to make their products and services more familiar and appealing can use advice as a gateway for social media content. For example, a tile floor manufacturer could offer video tips to show how a tile can be laid quickly and cleanly. Such initiatives demonstrate to the user that the manufacturer is not just interested in selling his product – he wants the buyer to achieve the best possible results too. It’s important that social media content should always be honest and authentic – any guide should be a real help, and not just another means of advertising your own products which has been disguised as a tutorial. Another successful approach used in the ‘advice’ field is well demonstrated by the method employed by the blender manufacturer Blendtec. Their YouTube video series “Will it blend?” was enthusiastically received by the social media community and proved a great success. In each video episode, the company’s founder checks whether objects, such as an iPhone or industrial diamonds, can be crushed in one of his company’s blenders – sometimes with an explosive outcome. This kind of humorous content is particularly popular on social media, so these clips made a significant contribution to the brand’s popularity. In addition, each video also serves as an advertisement with a clear message: Blendtec products prove themselves even under the harshest conditions. Testimonials or expert opinions can be just as effective as guides. In view of the fast pace of social media, the content should, of course, be as up-to-date as possible. If a report suggest scientists have found that regular exercise is not only good for health but also relieves work-related stress, this can be a perfect opportunity for a gym to post information highlighting the study, either on Facebook or in a blog. It’s always very important to get your tips and content absolutely correct – because with an active community, even small inaccuracies in the posts are quickly noticed and reflect poorly on the contributor. Likewise, advertising is never appreciated in tests, so the marketing should focus more on the result or outcome of the test. On certain occasions, Twitter marketing campaigns can be used very effectively. During a trade fair visit, a company could inform users about current products and developments via Twitter. And whenever a new product is launched, Twitter can also be helpful to generate media hype. Users can regularly be made aware of the pending product launch through regular posts. This creates a certain expectation and anticipation for the product, which can then be dramatically “unveiled” at the market launch. In principle, it is possible to publish social media content for marketing purposes with just a small degree of user interaction. Advice and tests can be shared and commented upon, but little else can be done with a video or with some posts. The company’s online presence on Facebook, Instagram and Co. ultimately depends on such user interaction. So it’s essential to address users, increase their sense of loyalty, and at best make them brand owners who will become sufficiently convinced to gladly recommend the company and its products. Interactive content can play a useful role in achieving this purpose, and even small actions can have a great impact. A Facebook survey, for example, is an opportunity for a company to demonstrate that the customers’ opinions are important to them. The crucial point here is that the survey should not take long – after all, it’s the company that wants the information, and not vice versa! A prize raffle can work wonders in such circumstances. Quiz questions and competitions can also be a real driving force in terms of marketing via social media content. The chance to put one’s own knowledge to the test – and perhaps win something in the process – can prove irresistible for many. A quiz framework can focus on specific topics, and thus should be related to the company wherever possible. This helps to build customer relationships – if they enjoyed the quiz, they will return, or maybe share the quiz and thus contribute to your brand awareness. Social media marketing in which users create the content has become a whole new marketing genre. This so-called user-generated content demands a particularly high degree of interaction because it primarily involves users rather than those who operate the respective media channels. Any potentially suitable platform really needs an active community of fans ready to devote some of their own leisure time. Alternatively, users can be encouraged to participate in competitions in return for prizes. Whether the competition is about naming a new product, or ideas for further new products is ultimately a secondary consideration, because the real goal is to recruit and integrate your customers and users. They will thus identify more closely with the company, as well as helping to improve the company image and therefore also increasing brand awareness. 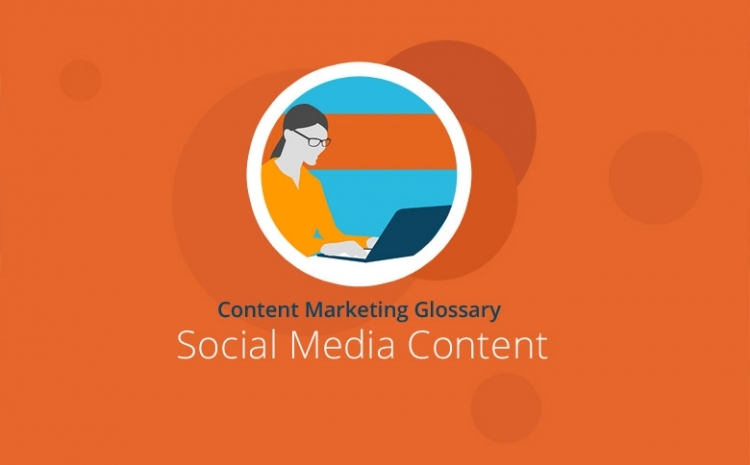 The term “social media content” covers all types of content which is created or published on social media. By using social media content, companies are trying to reach users on a different and more personal level than is possible via Google AdWords or similar types of online marketing. Authentic content which is not created for purely marketing purposes can offer users real added value. Guides and posts on Facebook, an employee photo-story on Instagram, or regular tweets from the company’s founder or development department make the company appear more human and help to demonstrate their wish to engage with their customers. Content such as competitions, quizzes, and raffles encourage users to interact with the company and thus help to increase their loyalty to the brand.